After finishing up the Harry Potter series, I found myself not wanting to read much. Reading the Harry Potter books so quickly set my expectations of a reading experience high. The next book I picked up just wasn’t at the same high level that I had been enjoying. Everything else paled in comparison. So, I gave it some time, and my reading habits are slowly starting to pick back up again. So, anyways…just what am I reading currently? 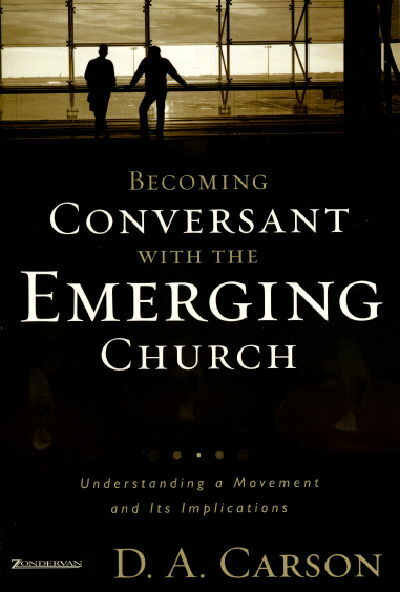 Becoming Conversant with the Emerging Church by D. A. Carson. This is the primary “textbook” of the Twin Cities Bible Institute course I’m taking on the emerging/emergent church. Pretty good book so far, Carson definitely knows his stuff. Class has been pretty good so far too, although at times I purposely choose to bite my tongue and not ask questions that would confuse the other classmates. I have no great love for the Emergent Church, believing them to be pretty crazy at times, not to mention a repackaging of classical heretical doctrines, but the Emerging Church (emergING, not emergENT) has some good ideas worth discussing. If you can call them emerging, I’m a huge fan of men like Mark Driscoll and Matt Chandler. 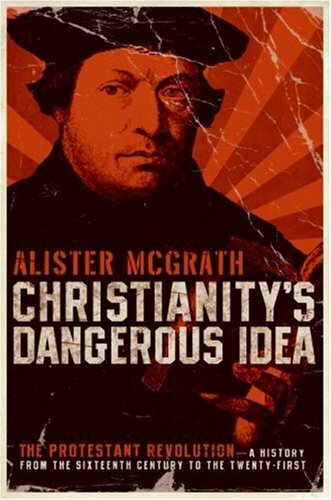 Christianity’s Dangerous Idea: The Protestant Reformation by Alister McGrath. This is another one of those books that is dangerous to read for most Christians. The study of history, whether its church history or doctrine, will open your eyes to the reality around you as you begin to see the layers of thought and belief peeled back to reveal what they really are. The study of history is what has led to me embracing certain strands of doctrine over others, and has caused me to part ways with other Christians whom I’m not convinced are believing some ancient heresies and lies taught by less than honest men. Reading books like this will cement within your mind the idea that most everything is relative when it comes to faith and belief, especially when everyone makes the same claims about God given understanding and interpretation of scripture, which is hardly true most of the time. We all choose what we want to believe, impressed by a combination of factors including geographical location, exposure, socio-economic status, political factors, religious factors, denominational factors, age of exposure, and, yes, the Holy Spirit. Bottom line – I’d encourage you to study what you believe, find out why you believe it, and where those ideas came from. 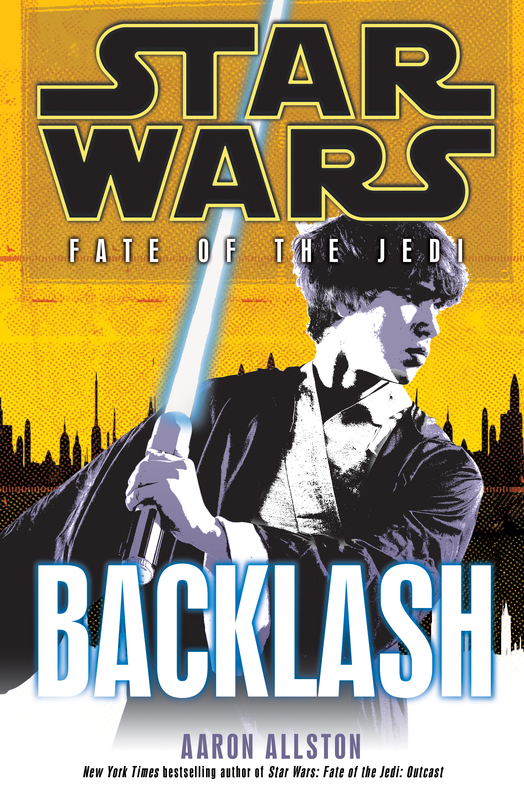 Star Wars: Fate of the Jedi – Backlash. Finally, some fiction (except for the ‘obvious’ lies published about Protestantism, lol). I’ve read the Star Wars book series faithfully since Timothy Zahn brought Star Wars back into the public eye, which led directly to the test subjects of Shadows of the Empire (seriously; Lucas has admitted that the Nintendo 64 game, book, and comic series were all a test to see if Star Wars would still sell, so all of you who bought Shadows of the Empire, you are the reason we have the Prequel Trilogy. You’re welcome). This current series is pretty interesting. Luke Skywalker has been ousted as Grand Master of the Jedi Order, and him and his son Ben Skywalker are tracing the path of Jacen Solo that led to him embracing the Dark Side and becoming a Sith in a previous book series. It’s been fascinating seeing the authors explore what the Force really is, how many variations there are of it, what mentally led to Jacen going dark, and what this will mean for the Jedis going forward. I’d not recommend new readers of Star Wars start here, but it’s a good continuation of the ongoing canon. 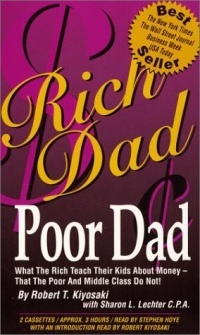 Rich Dad Poor Dad by Robert Kiyosaki. Friend of mine gave me this book to read, said it was really good. We’ve been exchanging books lately, so I agreed to check it out. I must confess I haven’t opened it yet…but I’m getting there. I trust my friend, so it should be pretty good. I’ll probably try to breeze through it in a day or two coming up. PVP Series by Scott Kurtz. This one is simply for fun. I’ve been reading PvP (Player vs Player) by Scott Kurtz for up to 7 years now. I even have two signed and personally drawn in copies of two of his earlier books, and we’ve emailed and chatted on Twitter once or twice. Great guy. The series focuses on the office of a video game magazine company, but has expanded to include more elements than just the basic premise. I’m behind on my collection of the books by about three volumes, but I read his comic strips every Monday through Friday. It’s like the webcomics version of Fox Trot. Plus, you really get to know Scott Kurtz himself through his comics and blog, and in a way he’s like a cool older brother. I look forward to one day meeting him in person. Ok, so that’s what I’m reading right now. You should see my “To Read” shelf…lol. This was another book I enjoy. I like Philip Yancy…he has the balls to ask the questions others will not. When I read it I was struck by the first chapter. It’s a story about a Wheaton Grad student who lost his faith. In many ways I felt as if I was reading about myself…except I didn’t burn much of my Christian material. I just took mine to a dumpster here in Northern Virginia and threw it away. But this is a good read…. Yeah, I love Disappointment with God, classic book…I’ve heard about the William Lobdell book, I’ll be sure to add it to my Amazon wishlist. I didn’t know you were enrolled at the Twin Cities Bible Institute ? Where is this located? Are you receiving credit? LoL, I think there is some credit involved, but really it’s just taking a course at a local seminary…mainly for fun. Its hosted at Central Baptist Seminary. LOL. Yeah, I still loosely consider myself a Baptist…in a historical sense at least. I’m down with that, but I’m not sure simply attending a Presybeterian church will change your theological understanding of baptism, but it’s atleast a start. Maybe some musing over lunch after church will be more profitable.